Cambridge residents and visitors are to be able to comment on proposed new designs for the city’s Market Square during a two-month consultation period this summer and autumn. Cambridge City Council has commissioned urban design firm BDP to review the management and use of Market Square and propose a design for its renovation. The new plans are set to address present concerns surrounding hygiene and accessibility. With the goal of improving accessibility and cleanliness, the plan suggests that the Square’s cobblestones will be replaced with a “one level smooth pavement” to make the market easier to clean and more accessible to wheelchair users. The proposed plan also includes the installation moveable stalls to facilitate a regular plan for night markets and conversion of the market space for other events. Underground bins and cycle racks will also be introduced. Meanwhile, there are voices calling for the preservation of historic elements of the market – including the cobblestones and the fountain at the centre of the square. 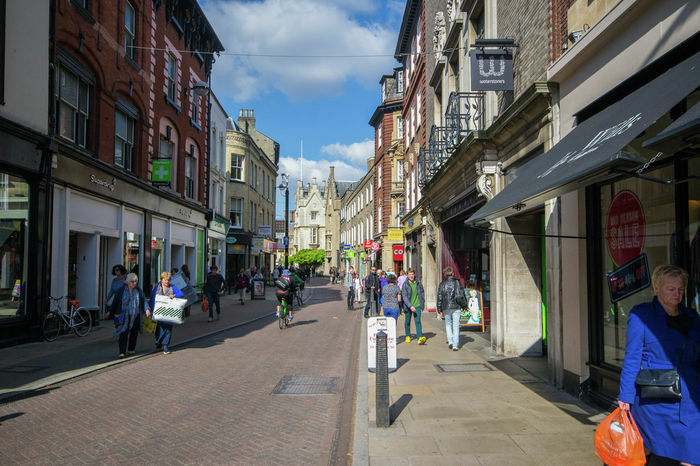 ‘Friends of Cambridge Market’, a Facebook page dedicated to the history and operation of the market, expressed “fear” over the possible removal of the cobblestones, demanding to see the Council’s detailed plans over the retrofitting of Market Square flooring. Cllr Lewis Herbert confirmed that the Council has set aside £100,000 for the project. The outcome from the consultation period, as well as any changes to the proposed design, will be considered by the Scrutiny Committee in the City Council. Varsity has talked to several vendors on their views about the current situation of the market and the potentially upcoming changes. Gabory*, owner of a stall selling marinated and grilled meat, told Varsity that he has known about the upcoming changes and “will be glad” if the Council’s proposed changes come through, but feels that to his knowledge, they are “ages [away]” from happening. He cited the biggest problems in the market as slippery cobblestones and electricity failures disrupting his business as he has to restart the generator during the day. He also complained about the lack of a sitting area. However, when asked about losing historic aspects of the market, Gabory did not express concerns. “Look around, what is it [the market] like?” He stressed that more value would be placed on the historic elements of the market, such as the condition, if they were in better condition, but the current state of the market is “just a headache”. Looking to the future, Gabory said that he would like to have a fixed stall and a covered market. He cited the impact of rain and poor weather on the operation of his stall – as it takes him considerably longer to set up on days of bad weather. “I’m going to be happy if the street between us [the stall and the aisle] is covered with a glass roof, as when it is raining people just disappear and the market is dead, straight away, until the rain stops,” Gabory added. Apart from concerns over the cleanliness and accessibility of the market, there have also been stories of vendors complaining about fried food vendors driving business away from their stalls. The owner of an arts and crafts stall told CambridgeshireLive last year, saying that he closed down his business as he could no longer tolerate spending two hours a week cleaning his goods to prevent spoilage. Nutan, owner of a souvenir stall opposite a stall selling fried food, told Varsity a similar story. She commented that in her thirty years working in the market, she has seen a rise in the number food stalls, which has affected her business. She finds that she has to spend extra time cleaning her stall when she comes back for business after the weekend, for there are “always burger bits and lots of smoke” from the operation of food stalls on weekends. She welcomed the upcoming changes to the market, agreeing that the biggest issues in the market lie in the cobblestones being slippery, having witnessed two customers slipping in front of her stall. She also commented that the market is not clean enough, making it “unhygienic” for food. However, despite her support for the Council’s proposed changes, she noted that the Council “has been talking in the past” without any concrete action. Lynne, owner of greengrocers J&L Fruit Veg, told Varsity that she felt the market had declined in cleanliness in her thirty years as a vendor. The Cambridge City Council will decide whether to fund a detailed project plan in 2020/21, subject to favourable public response in the upcoming consultation session. An agreed upon design could potentially commence work in 2021/22.